Moen T3293BN Align Brushed Nickel Moentrol Tub/Shower. The T3293BN is a genuine product manufactured by Moen Faucet Company. 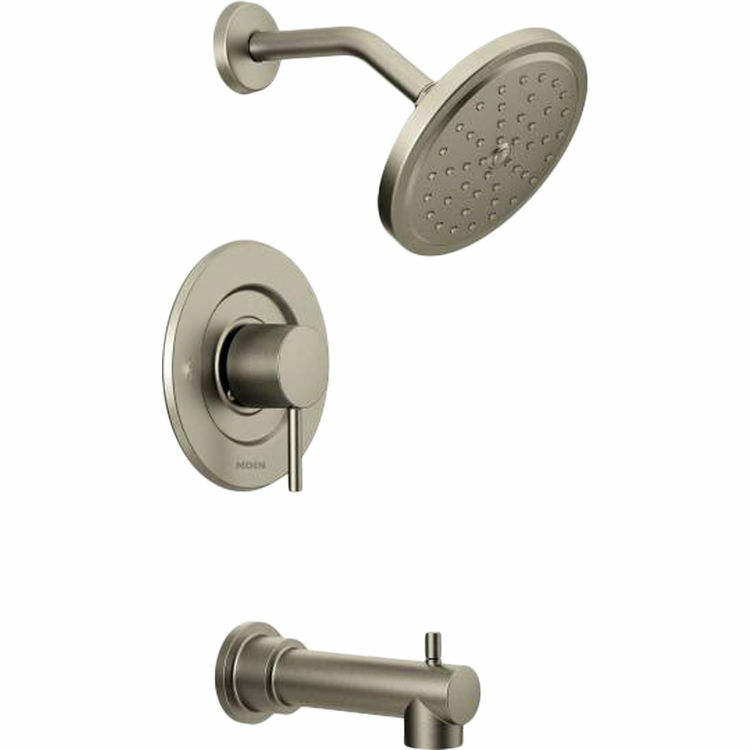 The Transfer Valve Trim, including both the tub spout and showerhead is part of Moen's Align collection and comes in a Brushed Nickel finish. The trim features a single handle design that makes it easy to control both water flow and temperature. It utilizes Moen's M-PACT common valve system which allows you to change out trim fixtures/designs without having to change the valve or other plumbing. Does not include rough-in valve which must be purchased separately (Moen model numbers; 3510, 3520, 3570). The showerhead is a single function Rainshower spray head with a 6 inch diameter and the tub spout has a length of 7 inches. ADA Compliant. Limited Lifetime Warranty from Moen.